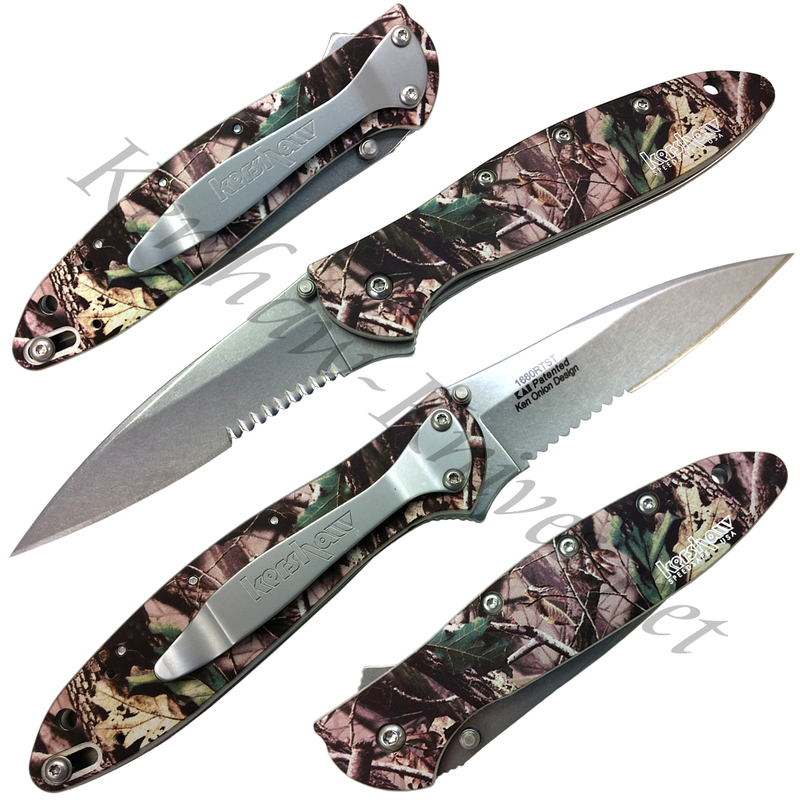 Kershaw Leek Camo Stonewash 1660RTST is made in the USA. The Leek Blade is the same Leek Classic that we all love, the long and sleek serrated edge blade. It is made with 440A stainless steel 3 inch blade. The Speed-Safe torsion bar assisted opening allows this knife to be opened with one push. When closed this 3.1 oz Kershaw knife is 4 inches long. The handle has a camouflage print that hunters will love to help them camouflage their equipment.